What a week! – the publication of two major reports, a primary school visit and presentations at the Education World Forum in London and in Davos for the World Economic Forum. This is the second year in a row that the charity has been invited to both. Here are Katy Hampshire’s, Director of Operations and Programmes, reflections on the week. On Wednesday 23rd our CEO, Nick Chambers, launched a new report at Davos during the World Economic Forum (“WEF”). In conjunction with the OECD this report was aimed at that the business leaders and key global influencers to look at the future of education and jobs and the challenges and opportunities presented by the Fourth Industrial Revolution. It concluded that the skills mismatch observed in the labour market has its roots in primary school, and that giving all children, regardless of gender and social background, the same chance to meet professionals in a variety of fields is the key to widening their view of the world of work. If you didn’t catch it, here is the report. Nick also persuaded some of the WEF participants to visit the local primary school in Davos, where prior to their visit the children were asked to draw what they wanted to do as a job. The majority drew sportspeople predominantly skiers. 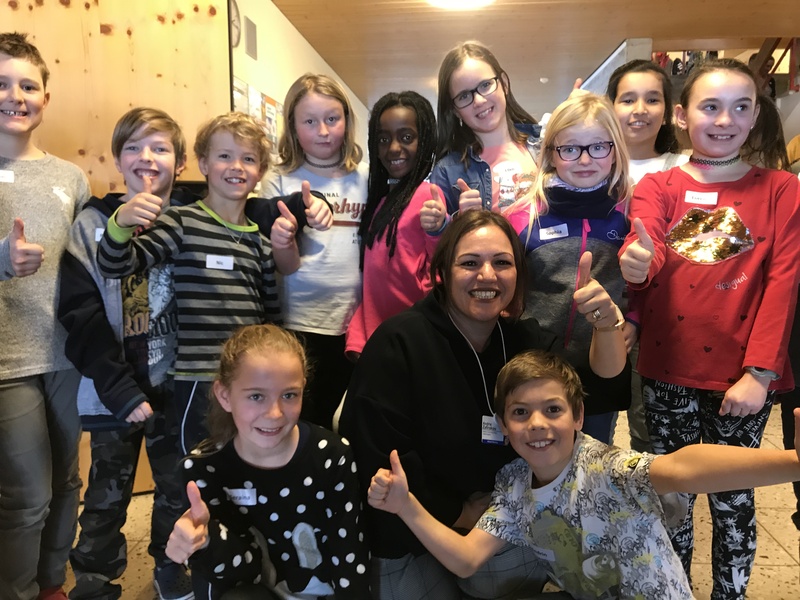 Following the event, the Head Principal of Davos schools, Martin Flütsch commented, “We were all surprised by the results of the ‘Drawing of the Future’. It made us realise the importance of volunteers from the world of work coming into school to inspire our young people as we had not expected that our students would have such narrow ambitions for their futures.’ Click here to watch the film of the visit. Also, Wednesday, we launched a report with Teach First about career -related learning in primary which helps look at the role of teachers and school leaders in making the most out of interactions with the employers and the world of work and the impact for children. It is hoped that the conclusions and recommendations from this paper will provide and encourage schools to further engage in career-related learning, help define good policies and practices for schools, and provide ideas for providers of initial teacher education (ITE) and continuous professional development (CPD). I had the privilege of hosting a workshop with Chris Percy, who has co-authored a number of our research reports, as part of the Education World Forum (“EWF”) at the British Council aimed at an international audience of delegates from education ministries. Titled ‘How do we prepare young people for a future world of work that we struggle to predict?’ it carried through themes from Davos and the opening remarks of the day by the Olga Srietska-Ilina from the International Labour Organisation (“ILO”) about some of the meta trends impacting the future workforce. We also turned some of the predictions for the future on their head – as we know oftentimes predictions are wrong – can anyone recall the prediction “There is no reason anyone would want a computer in their home” (Ken Olson, Digital Equipment Corp, 1977)? As education policies and practice are unlikely to be able to reform at the pace required by the global pace of change within the workforce how might we prepare young people? We proposed three thoughts. Firstly, that of a balanced investment in lifelong learning, Olga from the ILO also touched on this, so the concept is widely recognised but how do we actually make it work, what is the role of business in this and what is the balance between education and training prior to entering the workplace and after? Secondly, a need to focus more on skills, attitudes and preparation, rather than rote learning. Earlier in the day we were shown a photo of the typical classroom setting with a teacher at the front and rows of children behind desks – the scene hadn’t changed in over 100 years. Now we know there’s some innovative practices out there and indeed touched upon some across the course of the day from Vietnam to Ghana but how do we make this widespread? In addition, employers say they want certain skills and competencies as our recent report How are Schools Developing Real Employability Skills shows, but are they being explicit enough and how are schools already developing these? Employers and education need to continue to have a #jointdialogue to really support making this a reality. Thirdly, a simple way to help young people broaden their horizons, break down stereotypes and navigate the future uncertainties whilst motivating them in their learning, is to connect young people to volunteers from the world of work, which we do through Inspiring the Future. Our research shows this has real impact on outcomes and our key – don’t micromanage it. Young people need to see a real diversity of role models and they need to hear authentic stories that help them see the variety of career pathways that people take and build up their knowledge beyond their immediate social networks. 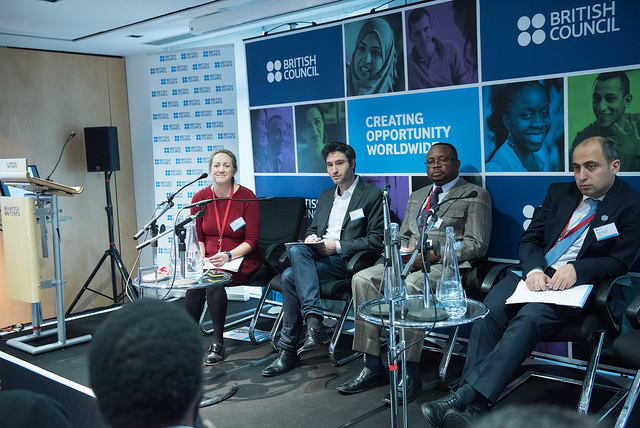 We had some really interesting reflections and challenges from the delegates at EWF and from our panellists from Azerbaijan and Zimbabwe providing context from their respective countries as well as personal experiences. Some of the things discussed are translatable to challenges we face in the UK and that here at Education and Employers we are looking to address alongside collaborations with other charity partners and local organisations. These include how we support young people to hear from role models working in sectors that aren’t available within the immediate locality. Here in the UK, technology-based solutions and partners help us to address that gap but we want to do more. We also talked about how we include parents and guardians who can be key influencers in young people’s decision making. Our work on the Apprenticeship Support and Knowledge for Schools programme specifically looks to address this by having parents attend events at schools to hear and meet current and former apprentice volunteers and our team, but we need to consider how we might reach more parents. Finally, someone reminded us of the absolute importance of prioritising basic literacy and numeracy skills for young people without which they are unable to engage in the world of work at all. We agree and feel that volunteers from the world of work can also help here by bringing the curriculum on these topics to life, demonstrating their relevance and motivating students to learn. In the final remarks for the day we discussed key levers education ministers have at their disposal one of which was supporting and having high aspirations for young people, we hope the workshop left delegates with ideas on how working closely with employers can help raise aspirations and much more ! Finally, just my thanks to Chris Percy for his invaluable support at EWF and the research team at Education and Employers who have worked so hard to get these two reports into the public domain. So the week was is a perfect launch for a full calendar of events we have planned during 2019, our tenth anniversary year.